Obituary for Shirley J Box | Esterdahl Mortuary and Crematory, Ltd.
Shirley J. Box, 79, of Sherrard, died Sunday, April 7, 2019, at UnityPoint Trinity in Rock Island. Visitation will be from 3:00 to 6:00 p.m. on Friday, April 12, 2019, at Esterdahl Mortuary & Crematory, Ltd. Moline. No funeral service is scheduled. Cremation rites will be accorded. Shirley was born on March 30, 1940, in Moline, the daughter of Fred Anthony and Ruth Moyer Anthony. She married Milton Charles Box on October 22, 1956, at First Church of Christ in Rock Island. Shirley was an E/R Admitting Secretary at Moline Public Hospital for 15 years. She loved fishing, bingo, flower gardening, reading and computers. 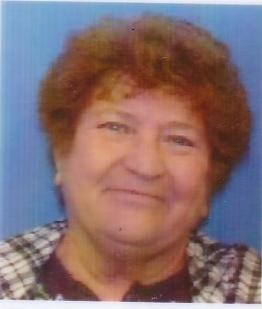 Shirley was a member of Edgewood Baptist Church and a former member of the Good Time Wheelers Motor Cycle Club. Survivors include her husband, Milton; children, Milton Carel (Lori) Box of Coyne Center; Ruth (Brad) Ulfig; Timothy Box; 7 grandchildren and 10 great-grandchildren. She is also survived by her sister Doris (Tom) Nipper of Seaton. She was preceded in death by her parents and 3 brothers.